Dear friends, there isn’t anything more important I could share with you this week. Or ANY week, for that matter. 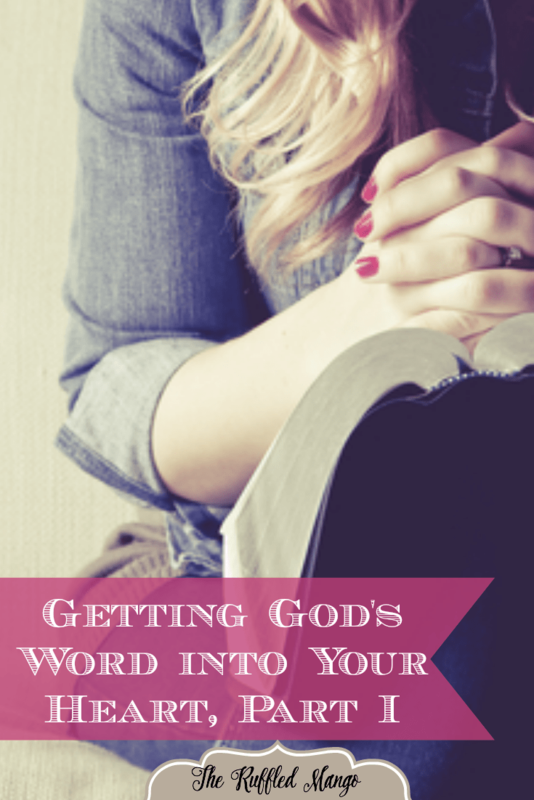 Because God’s word is alive…active…sharper than any sword. It pierces all the way to our souls and brings to light every intention in our hearts. (Hebrews 4:12) And someday – any time now, really – we’re going to have to give an account to our great Creator. So we better know His Word as well as humanly possible. Because He’s not gonna be patting us on the back for reading every novel in our “To Read” pile. He’s not gonna shake our hand when He hears how many episodes of our favorite TV show we binge watched. He won’t say, “Well done,” when all we have to offer Him is a meager amount of hours logged sitting on a church pew and only half-listening to the sermon. And His Word tells us some pretty life-altering information. The history of the world, for instance. And how He sent his only Son to save those who live in that world. It tells us how to obey the gospel and how to love bigger than we could imagine. But let’s not depend on any Cliff Notes version of God’s Word. The professor wants you to read it for yourself. And not just read it…really READ it. Get it inside your heart, your very being. Because it’s not worth anything if you don’t live it. Fortunately, after Jesus returned to heaven, He sent his Holy Spirit to live inside of each of his followers after they were baptized. That Holy Spirit is able to “guide us into all truth.” (John 16:13) We find that truth in God’s Word. But we’ve got to seek it. Sometimes we might be guilty of “quenching the Spirit.” (I Thessalonians 5:19) To me, that’s a terrible thought, but I’m positive that I’ve done that very thing. How? One way would be to resist His guidance “into all truth”…avoiding my Bible study time to spend time in worldly pursuits instead. Shame on me. I’m glad that God doesn’t give up on us, though. He keeps seeking after our hearts. What a crazy, powerful blessing! What in the world does that mean?? Is Jesus referring to actual physical blessings? Our talents? Or something else? That verse has always confused me somewhat, but a recent Sunday morning Bible class helped me to clarify it. It’s apparently a reference to one’s faith. Think about it…when you have a little faith with a longing to know more, God will always meet you there. He will add to your faith exponentially. If you have only a little faith with no desire to move forward in that journey, your faith will become stagnant – and eventually disappear into nothingness. Jesus called up a prophecy from Isaiah – some people’s hearts will grow dull, their ears barely hear, and their eyes have been closed. But Jesus knew that his disciples were different from that. They might not have understood every secret of the kingdom of heaven (obviously, they were confused from time to time!) but they still followed Jesus and searched for the truth. He told them, “But blessed are your eyes, for they see, and your ears for they hear.” They stayed close to Jesus, and gradually He kept revealing more kingdom secrets to them. It’s the same with us today! God is willing to help us, if we only ask. In fact, it’s His will that each of us should be saved…and it’s been my experience that He will GREATLY help us when we try to get His Word in our hearts. I’m challenging you today…especially if you are farther away from God than you would like to be…to pray a simple prayer. Ask Him for a better understanding of His Word. Tell Him you want to know Him better. To know exactly how He wants you to live your life. Ask Him to bless you in this pursuit. I’ve prayed that prayer…I know how powerful it can be. Pray – and just you wait. Prepare to be amazed.